Or, as I look at it maybe just pull one of my filter lines and backflush from there? Not if it's a bypass, to backflush you have to go in under the cap on the oil cooler. That's what the IPR manifold and the Extreme (fix-ur-6) adapter replaces. Gives you a straight shot thru the oil cooler. OK. Going outside to spec it out. When I did my homemade setup I used a filter block from a Class 8 truck dealer and that uses a filter with at least a 5/8” thread if not 3/4”. I’ll be changing the filter soon and I’ll check that. I’m looking for pics on the web but guessing that your manifold mounted next to the rad has a spin on underneath? That's an IPR full flow, cleanable filter. The spin on filters only have an 1/8" hole if you look inside. 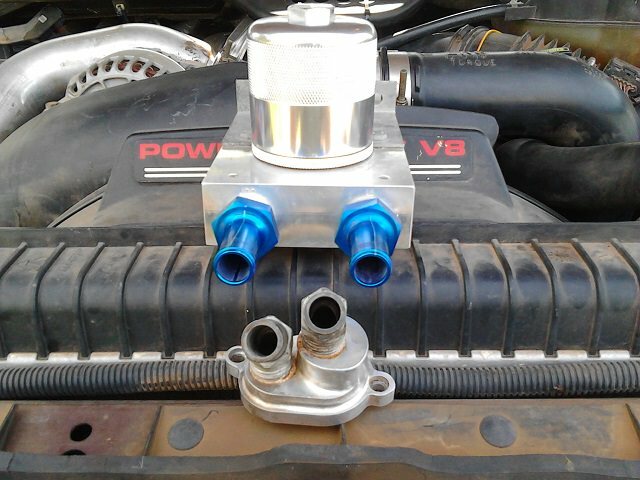 The manifold replaces the cap on the oil cooler, takes the coolant as it leaves the oil cooler, filters it before it goes into the EGR cooler. The only way to filter it before the oil cooler is with a relocate kit from BPD or IPR. There is no doubt that, that would be far superior to tapping the lines to the degas bottle. Which is what the sinister diesel product does. Got to wait till I get this miss and fuel pressure problem fixed. Then I will order one. I was looking at their website today at lunch. Ive pretty much settled on a 6.0 because the "problems" seem like they have clear symptoms to look out for which means if your diligent, then you can fix things before they go too far south. I have a question, I read (can't remember who's ) post that said to do the O-ring process when doing the head gaskets. What is that exactly? Is it literally just replacing every O-ring on the truck at that time or specifically O-rings on the fuel injectors etc because you have the heads out, you might as well kind of thing. Cheers everyone! Read through the whole Coolant Thread and boy is there a lot of good info in there. Thanks! @roverjosh you may want to post up in the general section or use the search function. To answer your question, o-rings on the heads are usually in reference to having grooves cut around the valves on each cylinder. 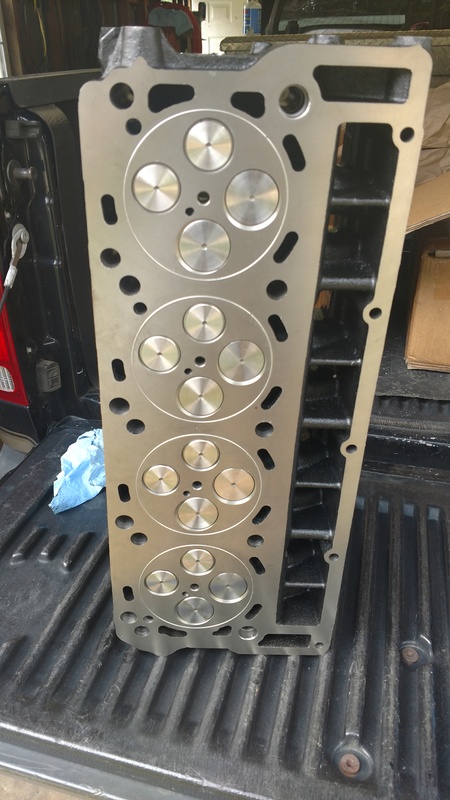 O rings are installed in the grooves prior to cylinder head installation, which compress and provide a better seal when the heads are torqued. SparkyF250 and voodooridr like this. It's been bolted on for about 20k now. The head may not be as pretty anymore, but the lack of pressure in the cooling system makes up for it. seninha, SparkyF250, Sock Puppet and 2 others like this. Do I need a boost fooler?